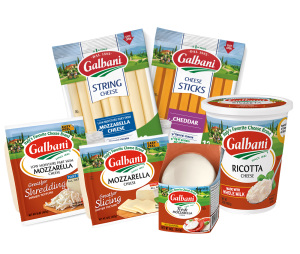 To create the ladybug’s body, place a slice of Galbani Fresh Mozzarella on a plate. Place a basil leaf on top of the Fresh Mozzarella slice near one end followed by one cherry tomato half in the center. 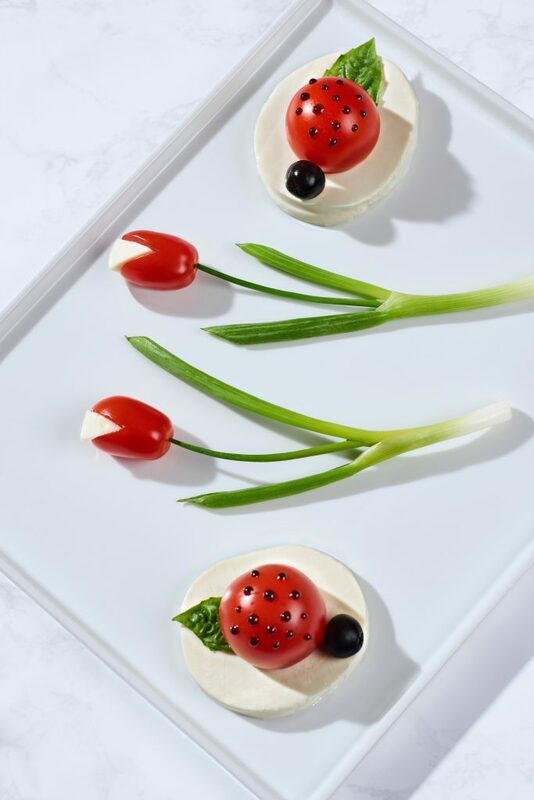 To make the head of the ladybug, place one half of a black olive atop the Fresh Mozzarella on the opposite end of the basil next to the cherry tomato half to create the Ladybug’s head. Dip a toothpick in the balsamic glaze and make small dots on the tomato.